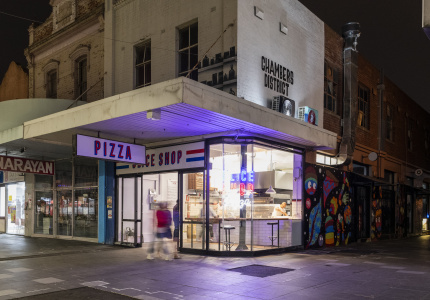 Is Melbourne’s cafe scene really just a boy’s club? 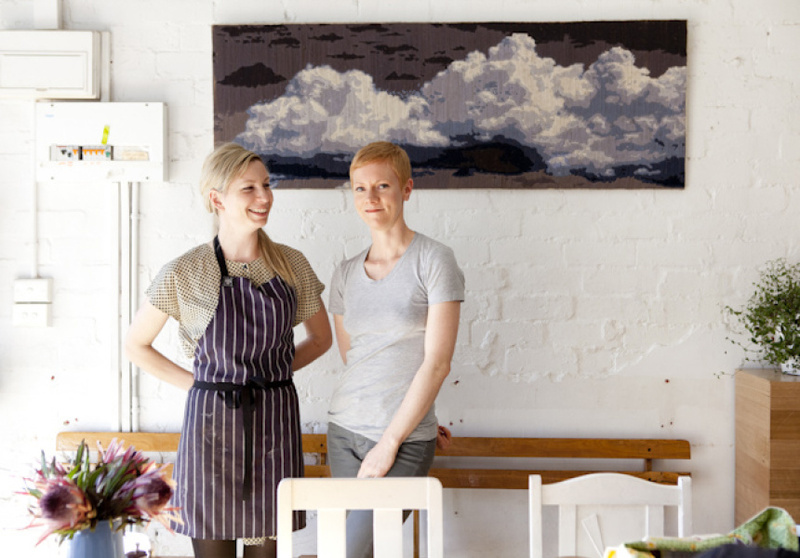 We catch up with the ladies behind some of our favourite spots to talk business. 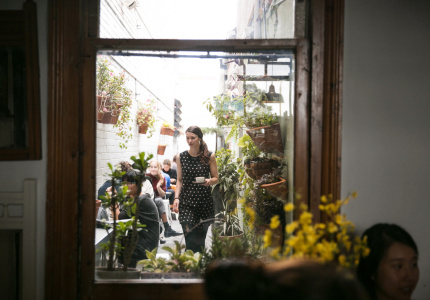 Melbourne’s love affair with its cafes is reaching epic proportions. 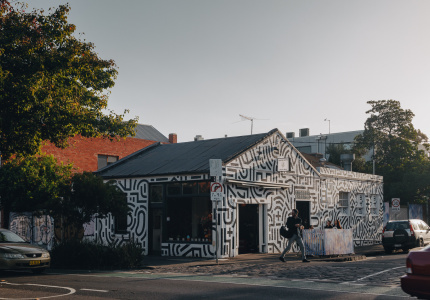 New places are popping up faster than we can write, spilling out onto cobbled city laneways, taking over garage spaces and steadily trickling into our leafy suburban streets. It doesn’t take a genius to figure out that in this city, coffee is the business to be in. 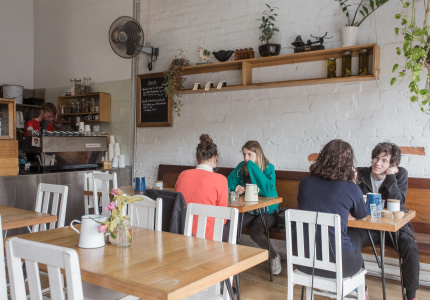 Mind you, we’ve noticed that an overwhelming majority of cafes are run and owned by young men. 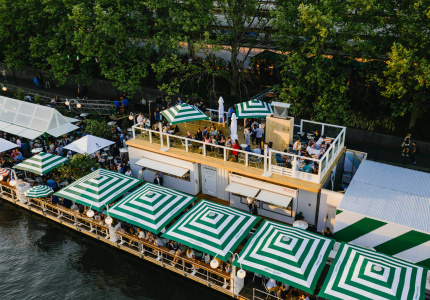 This has left us scratching our heads as to why there are so few women jumping on board. 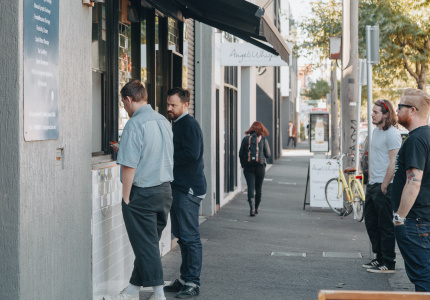 Light afternoon rain streaks the window of new Hawthorn spot, Not Telling, where the steamy hiss of the coffee machine is a comforting, welcome sound. 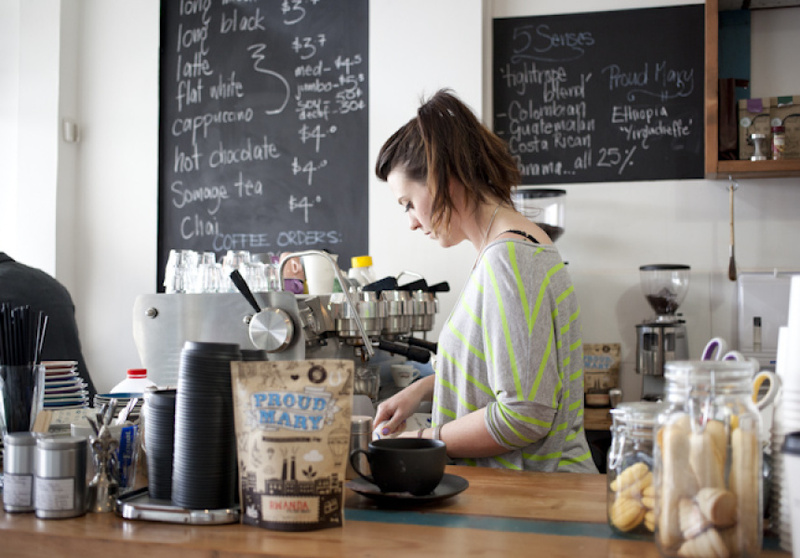 With co-owner at Cup of Truth listed on her resume, this isn’t Verity Govett’s first time around the block. Against a floral painted wall, a group of young mothers with their toddlers laugh over coffee and sweets. 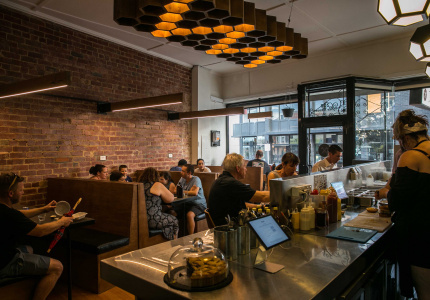 When it comes to her customers, Govett reckons she’s at an advantage. It’s Monday morning at Brunswick’s Green Refectory. 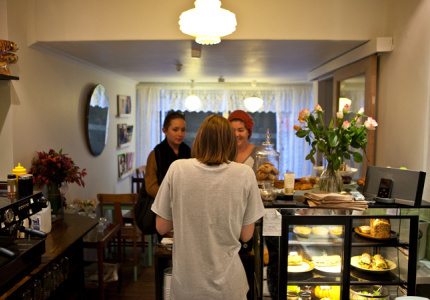 Bleary-eyed customers crowd the display case at the front counter, attempting to make a choice from the enormous spread of freshly-baked sweets, cakes and pastries. While the rest of us are just struggling to string the words ‘double shot latte’ together, owner Sandy Green has been here baking the lot since 4am. Running the show seven days a week, Green hasn’t exactly had time to stop and contemplate her rare standing as a female cafe owner amongst a city of men. On top of a dawn-until-dusk workday, Green also has a five-year-old son with another one on the way. She agrees that the gruelling hospitality hours that come with owning a business might be a deterrent to women who want a family too. But it would take a lot more than the demands of motherhood to stop Green from showing up to work. On the other end of the spectrum, 23-year-old Ellie King isn’t too worried about the whole kids thing. With loose pigtails draped over her shoulders, she sits at a tiny table in the lace-curtained dollhouse that is Little King and mulls the whole conundrum over. Personally, her biggest learning curve has been mastering the assertiveness that comes with being boss. 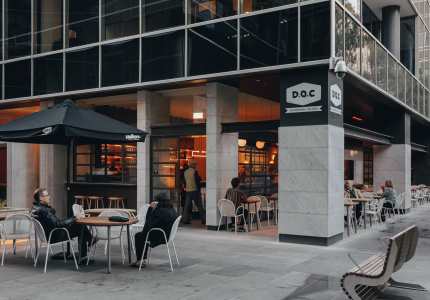 Due to her cafe’s location, within an alcove of St Pauls Cathedral in the CBD, King has to deal with homelessness issues, drug use and police regularly. “I’m 23, so I’m trying to deal with police officers that are double your height and double your age and just trying to get respect,” she says. The bottom line for anyone, she stresses, is a solid support network. 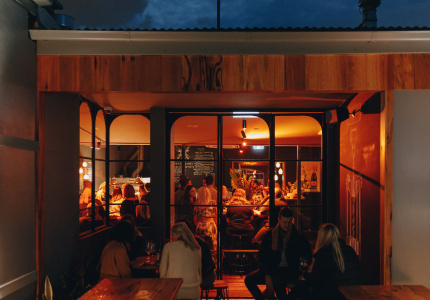 Like Ellie King, Di Korndorffer and Alex Paterson of Brunswick East’s Milkwood have copped plenty of condescending attitudes throughout their career. 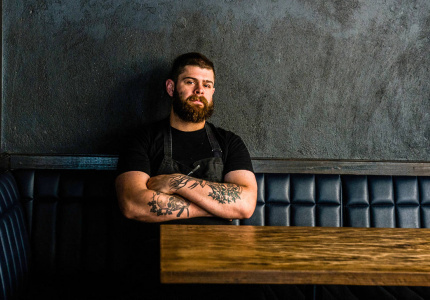 “Owning a business, I’ve definitely noticed there are certain delivery people or service men who pretty much call you ‘little lady’ and then they try and screw you around,” says Paterson, chopping onions in the afternoon sunlight of their tidy prep room. “And plumbers and tradespeople are so patronising, they don’t think you know anything,” Korndorffer chimes in. Both Korndorffer and Paterson would love to see more of a female influence on the industry. 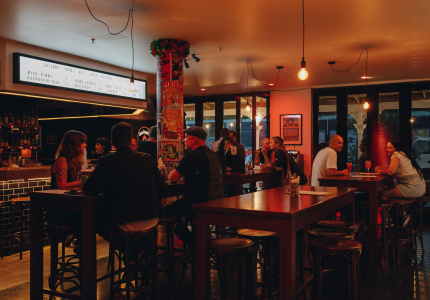 Adele Arkell, one of four female owners of St Kilda’s Galleon, agrees that women definitely bring something different to hospitality. Joking that maybe the success of their four-way partnership is in part a “lesbian thing”, she’s proud of the fact that the group have been able to work so well together over such a long period of time. Throughout our chats with these women, we twirled our spoons thoughtfully at the bottom of our coffees, trying to dig down to ‘the issue’. But we were floundering. 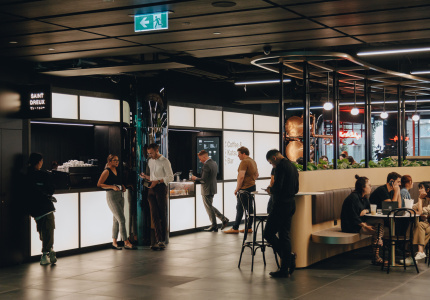 In the end, of course, there is no reason why women can’t do all the great things men are doing with coffee and food – and they are. The more women that set the trend of stepping up in a male dominated industry, the more will follow. 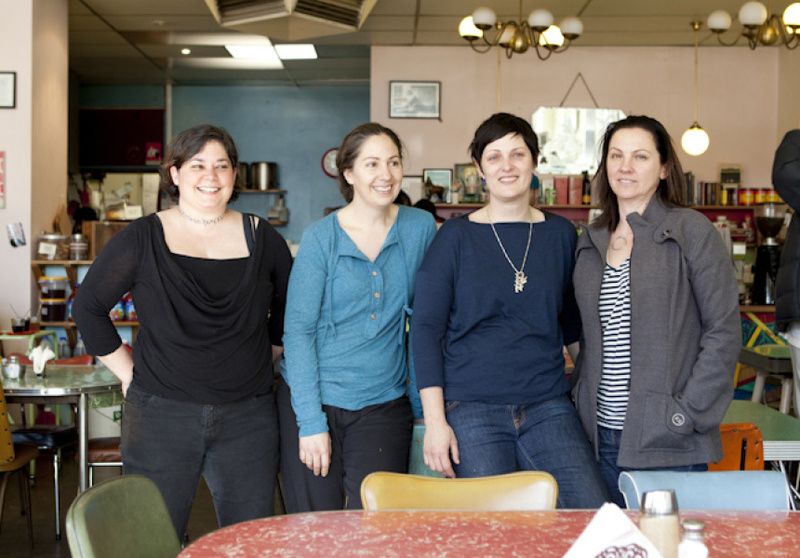 Running a cafe (especially in a city of caffeine addicts and compulsive bloggers) is physically and emotionally demanding for men or women, and at the end of the day no one can get by without the support of family and friends. There’s no reason why there shouldn’t be more women taking charge in this industry that we all enjoy, and that is such a culturally definitive part our city. We can’t wait for more ladies to step up and show us who’s boss.